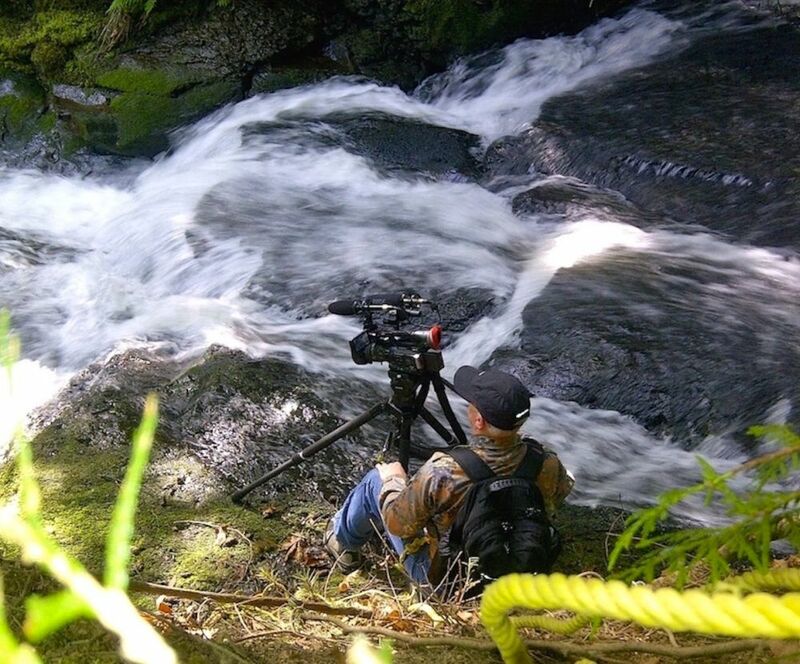 David Mackenzie has undertaken to produce a video series about Shelly Creek in the Parksville area on the east coast of Vancouver Island. The first two in the series will be showcased at the Parksville Symposium in April 2019. One features the David Derrick workshop and walkabout on sustainable stream restoration, and will be introduced by Dave Derrick during the town-hall segment on Day One of the Symposium. 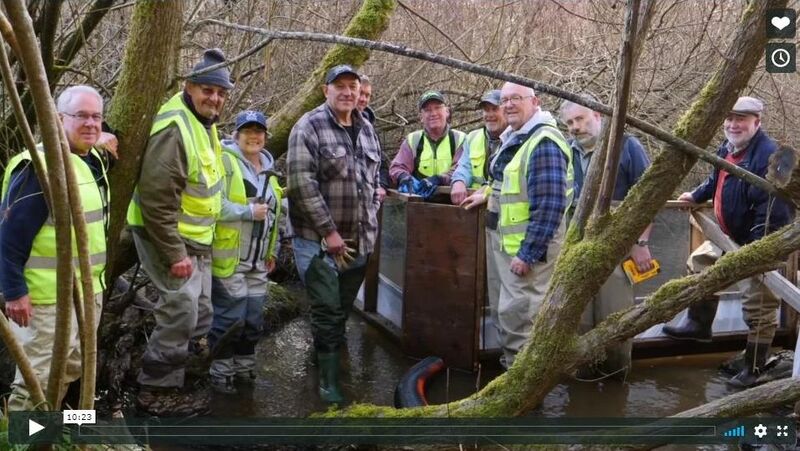 The second features a tour of Shelly Creek and will be introduced by Peter Law, President of the Mid Vancouver Island Habitat Enhancement Society (MVIHES), during the town-hall segment on Day Two of the Symposium. 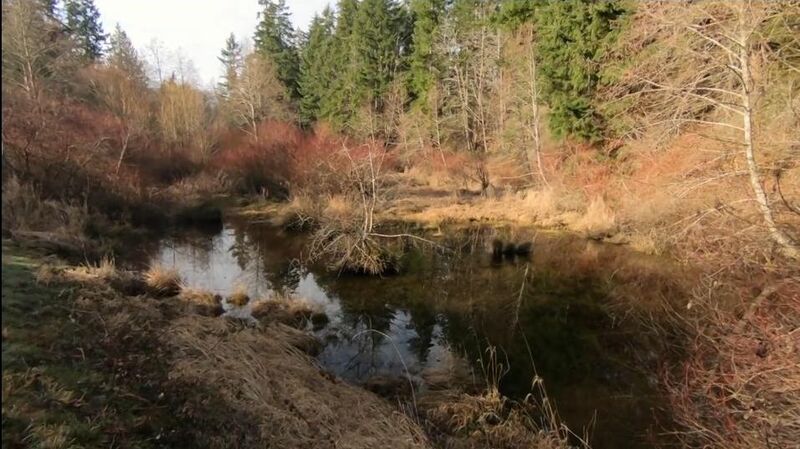 The third in the series will follow after Parksville 2019, and will present the ‘big picture’ to explain why Shelly is important as the primary tributary for salmon in the Englishman River, what the vision is for creekshed restoration, and how MVIHES is providing bottom-up leadership. David was born and raised in Vancouver and attended the University of British Columbia, BC Institute of Technology, and Royal Roads University. Much of his career has been spent as an insurance executive, project management consultant and videographer. 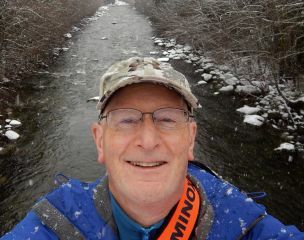 He has been an avid outdoor enthusiast from a young age and has spent the majority of his leisure time hiking, climbing, kayaking, canoeing, birding and filming landscapes and wildlife. His core passion has always been about watersheds, rivers and estuaries and the essential ecological role they play in our environment. “Water is earth’s prime life force, essential to the sustainment of all life forms. It actually even makes up about sixty percent of our human form. We should nurture and protect our watersheds to sustain our existence, including all other species of life, too,” states David Mackenzie. “Water is ever changing and never changing. It is dynamic and mercurial. It creates sound and energy from astoundingly powerful waves and flows, to whispering ripples and calm undulations, as well as a full spectrum of natural colours in depth and reflection. There is no other natural element anything like water. And it is ours to protect and sustain. “At water conferences I have found that all have an educational theme. Some conferences have an inward focus, meaning they create a valuable forum of information and debate for scientists and professionals, including government, that have a vested interest in watersheds and the management of them. These are often erudite events with excellent speakers, especially when they share their passion with the audience,” continues David Mackenzie. “Other events sometimes have more of an outward focus because they are seeking community engagement to obtain support to address climate change and sustainability in their regions. If one wants to obtain engagement in their community then they must reach out to them, especially stakeholders. If the community comprehends the issues at hand, and the solutions that are needed, then leaders may be able to establish a support base that can help move watershed sustainability in the right direction within the community.